The bond guru says he wants to replicate his PIMCO track record at Janus, sees 25 basis point rate hike in June. As market volatility continues and investors search for yield, bond guru Bill Gross is clear on the true negatives resulting from zero percent interest rates — and they aren’t pretty. Given such negatives, the Federal Reserve is likely to move “gradually” to raise rates, says the Janus Capital portfolio manager. “What has been promoted, you know, [are] potential bubbles in stock markets and in bond markets,” Gross explained. Still, the fixed income expert believes, the Fed “is willing” to at least acknowledge that, by raising interest rates 25 basis points in June. But don’t expect it to go higher. But won’t a hike in rates further strengthen the already strong U.S. dollar? “Ultimately, that’s again, one of the reasons why, you know, if they get off the dime in June or if they get off the dime in September, that they basically have to go very slowly [raising rates], because ultimately, a stronger dollar promotes lower growth in the United States as opposed to higher growth,” Gross said. As for his own professional objectives, he was forthright on why, after being pushed out of PIMCO, he didn’t retire. “I wanted to show clients and to show the world, to the extent that they’re interested, that I can continue to produce a track record like I did at PIMCO,” Gross explained. Just like Janet Yellen, Gross is in the hot seat. 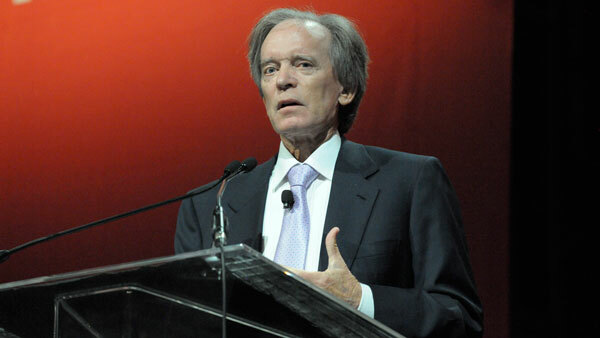 — Check out Bill Gross: Hunker Down for Global Currency War on ThinkAdvisor.